Great! You selected your iPhone 7 Plus to sell. It takes just a few minutes to sell your iPhone 7 Plus. 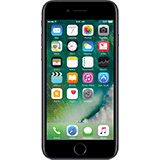 Select your iPhone 7 Plus / AT&T to sell.